As reported below by Reuters on March 28th, HP has sued Acer the number 4 worldwide PC manufacturer, for patent infringement. The HP lawsuit seeks unspecified monetary damages but requests the removal Acer products from US markets, where Acer had revenues last year of around $1.6 billion. The patents in question are very narrow and technical in nature, and include a technology for improving power consumption known as processor "speed stepping". This technique is commonly used in many of today's laptop computers, not to mention in microprocessors. The patents in question were issued between 1997 and 2003. It is interesting to see HP use their patent portfolio in this type of competitively aggressive manner, especially in the PC business. Their behavior reflects a growing and somewhat disturbing trend in the technology industry where large companies with rich IP portfolios will use a small number of highly technical patents to disrupt the market momentum of a successful and threatening competitor. In recent memory we've seen similar disputes between Broadcom and Qualcomm the the cellphone market, and Verizon and Vonage in VOIP service. In each case, the aggressor will delve deeply into their IP portfolios to identify patents where a credible case, albeit belatedly, can be made for infringement by a key competitor with a mainstream market offering. The potential that the infringement may have been inadvertent or a result of broadly adopted techniques being irrelevant. What is disturbing about this practice relates to timing. HP didn't make the effort to identify the specific patents in question and note their alleged infringement by Acer until after Acer designed the technology into dozens of their PCs and reached a US market size in annual revenues of $1.6 billion and growing. 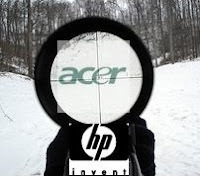 At this point, if the HP position was upheld and Acer was required to cease shipments of infringing PCs in the US, they could arguably lose $1 billion in revenues and by the time they re-engineered their entire product line may never regain their lost market momentum. Now of course one can argue that the design engineers at Acer purposefully used technology that they knew was patented by HP. And because of this behavior, Acer's infringing products should be removed from the market. However, it is somewhat more believable that computer design engineers do not actively monitor the landscape of thousands of patents held by companies like HP, IBM, Sun and the like, to ensure they sidestep this minefield of competitor's patents. Unless something substantial changes, companies will need to become more regimented and diligent about monitoring and analyzing their own and their competitors patent portfolios. And then find ways to provide guidance to their R&D teams to avoid potentially infringing designs. Until then, I suspect we'll be seeing more news on lawsuits such as this one from HP. LOS ANGELES/TAIPEI (Reuters) - Hewlett-Packard Co. said it had sued Taiwan computer maker Acer, Inc. for patent infringement, pressuring Acer shares. Goldman Sachs analyst Henry King said the lawsuit, which aims to stop Acer from selling some products in the United States, could pressure Acer's already-slim profit margins there. "Acer has become a threat that leading PC vendors cannot afford to neglect," he said in a research note. "We understand why competitors would desire a halt to Acer's expansion in the U.S. market." Shares in Acer which is due to report earnings later on Wednesday, were down 2 percent to T$63.00 at 0425 GMT on Wednesday, underforming the benchmark TAIEX index, which declined 0.92 percent, although MSCI's index of IT stocks, down 1.4 percent, indicated a broad sell-off in the sector. The lawsuit, filed in a Texas federal court on Tuesday, seeks to stop Acer from selling some products in the United States, including desktop and notebook computers, and media centers and related products, because HP alleges they use its patented technology. The five U.S. patents listed in the lawsuit were issued between 1997 and 2003. HP, the world's top PC maker, said in a statement it "is taking necessary action to protect its intellectual property against unauthorized use" by Acer the world's No.4 PC maker. The patents relate to optical data storage, circuits and methods for reducing computer system power consumption, multiple processors in computer systems, and an improved method for attaching devices to a digital serial bus, which allows communication between electronic systems. This past week, there was a joint meeting between the Oregon Bioscience Association and the Licensing Executives Society Oregon/SW Washington Chapter. The presentation was structured as a "mock negotation" over a hypothetical negotiation of license terms for a new medical device. Sandy Shotwell of Alta Biomedical and Keith Jones from the Washington State University Research Foundation represented the licensor's interests, while John Villa from HP and Mike Cohen a lawyer from Schwabe, Williamson & Wyatt represented the interests of the licensee. The entire video of the presentation/negotiation, which runs around 40 minutes, is available to be viewed by clicking below. It was most helpful that the participants handed out a draft terms sheet for the license agreement, illustrating the general areas and some example levels for royalties, prepaids, minimums, and the like. The licensors noted that a key requirement for them in the agreement is some limitation on exclusivity, so that the university does not have its "academic freedom compromised". Notwithstanding this, the university also requires the licensee to assume all liabilities for using the IP. They also indicated that it is typical to provide for some reserved rights -- for instance for federal use (especially if the research was funded with federal dollars), non-profits, or for humanitarian purposes. They noted however, that the licensee will typically be averse to enables the licensor access to improvements that they may make to the technology. HP indicated that they will typically request a very broad grant (all fields of use, worldwide, for use in all products), and that they will also prefer that their is a low initial entry fee for the license with some sharing of profits on the backend of the agreement once products based on the IP are in the market. They also indicated that they will typically like to negotiate sublicensing rights, since they may not have a good sense of whether a particular technology will be central or tangential to strategic product efforts in the future. The licensee lastly indicated that they typically would negotiate the agreement term to persist for the life of the patents. This lines up with them paying royalties for the period of time for which value is being provided by the IP. The exception to this is if the licensor is providing "know how" that provides for more longstanding value and benefit to the licensee past the life of the patents. This innovation challenge is daunting, with organizations currently expected to innovate not just in products and services but in virtually all functions throughout their organizations. The outcomes of such innovations are the intellectual property assets (patents, trade secrets, trademarks, copyrights, etc.) that provide competitive advantage to their owner. A number of different studies have shown that successful innovation is one of the most pressing challenges that CEOs are facing today. It is my belief that most organizations’ internal capacity for innovation is increasingly insufficient to meet the demands for competing in today's ever more complex innovation environment. Innovation can no longer be thought of by managers solely as a core internal competency constrained by the assets and resources available within their own organization’s walls. Rather, companies must expand their externally-available innovation resources and relationships. Corporate managers must alter their perspective on sources and methods of innovation and equally consider, without prejudice, both internal as well as external sources of innovation. They must create their own “Innovation Networks” combining internal and external innovation resources (Forrester, “Innovation Networks," June 17, 2004). This new perspective creates an almost limitless capacity for innovation if a company can successfully manage and leverage its Innovation Networks to provide the most efficient blend of internal and external innovation resources. There are some current examples of companies and other organizations that are systematically making forays outside their organizational walls to identify opportunities for new innovations. 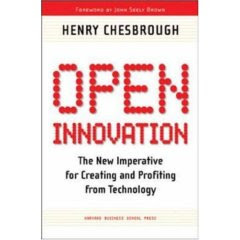 Proctor & Gamble, IBM, Kraft Foods, NASA, and many other organizations are embracing the concept of “Open Innovation” (Open Innovation: The New Imperative for Creating and Profiting from Technology Henry Chesbrough, 2003) to assist them to develop their Innovation Networks. For these companies, licensing, co-development, sponsored research, joint ventures and other “partnering” relationships are helping to generate and otherwise provide access to valuable intellectual property that supports new products. Unfortunately, few companies have the perspective, internal resources, knowledge, and relationships to develop effective Innovation Networks that will achieve its goals, especially when it comes to identifying creative opportunities outside of their core industry or product area. But most importantly, organizations will need to shed their “not invented here” cultures to embrace the concept of Innovation Networks and pursue the benefits of leveraging external innovations. This last challenge will require bold leadership that is willing to direct their organizations into uncharted territory that may not initially be supported by many employees who are uncomfortable working so closely with other companies. Which companies will adjust to today’s new environment and which will remain set in their ways? Which organizations will simply talk about Open Innovation while their competitors spend time and resource developing infrastructure and methodologies to create Innovation Networks? The answer to these questions may very well lead us to understand which companies will emerge as industry leaders in the future. Scott Weingust. Scott is a Director at FTI Consulting and provides technology and intellectual property management services based out of Chicago. He has spent the last 10+ years providing consulting services for many Fortune 500 and smaller companies, and has helped corporations, universities, and other organizations to create, acquire, manage, protect, and extract value from their intellectual property. Last week a federal jury said that Vonage owes Verizon $58MM in damages and a royalty on future revenues for infringing on 3 Verizon patents that have to do with internet calling. Verizon had asked for $197MM in damages and is requesting a 5.5% monthly royalty of future revenues. Vonage has countered that the Verizon patents aren't valid anyway, and that in any case, they don't infringe on the patents. It appears that Verizon has chosen to target Vonage because at least partially because as was reported in the Wall Street Journal recently that Verizon has lost hundreds of thousands of customers to Vonage over the last couple years. There are several interesting aspects of this situation. One is why Verizon targeted Vonage rather than possibly a company such as Skype (now owned by E-Bay) which was one of the first movers in providing voice over IP (VOIP) internet calling services to the masses. While Skype is more well known for computer-to-computer calling, which it provides for free, it also provides for computer to standard telephone line calling, which was stated as an area of infringement in the Verizon-Vonage case. But Skype has a different business model from Vonage in that it charges an annual fee of $29.99 per year for calling any phone line in the US or Canada. Another interesting aspect of this is the choice of a 5.5% royalty rate. This would represent around $33MM a year in royalty payments based on Vonage's last year's $607MM in revenues. It would be helpful to see the financial justification that led to the request for 5.5%. Especially because so much of the value of Vonage has been based on their effective marketing and brand building, as opposed to any unique distinction of their flavor of VOIP technology. It seems like the Verizon patents have only taken on value because they (Verizon) failed to capitalize on the use of a technology that they are claiming to have invented. But in that case, still, why 5.5%? There is of course the "rule of thumb" for patent licenses which suggests a market rate of between 3% and 10%. And 5.5% is right in there. But is there any quantifiable economic analysis that ties the value of the contribution made to the overall offering by Vonage that the Verizon patents make that would result in $33MM or so a year? interest around intellectual property have agreed to be contributors to this blog. The financial side of IP is such a rich area for discussion, I am certain that you'll find their comments and insights good reading. Dr. Baruch Lev. Dr. Lev is a Professor and Director of the Vincent C. Ross Institute of Accounting Research and the Philip Bardes Professor of Accounting and Finance at NYU Sterns School of Business. He has been recognized as one of the top 100 Most Influential People in the accounting profession. He is the author of several books including Intangibles: Management, Measurement, and Reporting, Financial Statement Analysis: A New Approach and Accounting and Information Theory. David McFeeters-Krone. 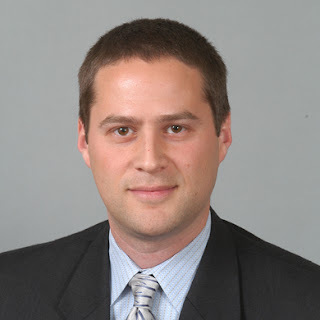 David is President of Intellectual Assets and a technology and licensing consultant. He has a strong background in licensing, gained through 10 years of experience with industry, government, and academic institutions. Jim Malackowski. He is the President and CEO of Ocean Tomo, LLC, an integrated intellectual capital merchant bank providing valuation, asset and risk management, corporate finance and expert services. Jim is an internationally recognized leader in the field of intellectual capital equity management as well as a noted expert in business valuation and intellectual property strategy. 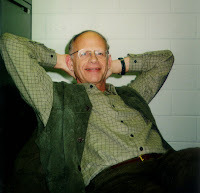 Dr. Nir Kossovsky. Dr. Kossovsky is CEO of Technology Option Capital, LLC, which provides business solutions at the interface of alternative risk transfer, intangible asset value and finance. He is author of more than 180 technical papers and book chapters, and is the named inventor on 20 pending and issued patents in medical therapeutics, nanotechnology and intellectual property business systems. He is also executive secretary of the Intellectual Asset Finance Society. Dr. Ednaldo Silva. Dr. Silva currently President of RoyaltyStat LLC which provides transfer pricing consulting services to accountants, attorneys, and corporate clients. He has a Ph.D. in Economics from the University of California at Berkeley. He taught at the Graduate Faculty of the New School for Social Research in New York for over eight years (1982-1990). After academia, Dr. Silva became senior economic advisor at the IRS Office of Chief Counsel and then chief economist at Shearman & Sterling. Dr. Michael Kayat. Dr. Kayat is President of UTEK Intellectual Capital Consulting. He has more than 20 years of business development success at a senior executive level in a wide range of industries in US and international markets. He received a Ph.D. in Physics from the University of Leicester (UK) and an M.B.A. from Pepperdine University. Dr. Kayat is a member of the Intellectual Property Owners Association, the Licensing Executives Society (USA & Canada) and the Association of University Technology Managers. Our thanks from Innovation Asset to all of these individuals for their participation in this forum. We're looking forward to this blog providing an exciting and stimulating dialog on IP and its financial aspects.